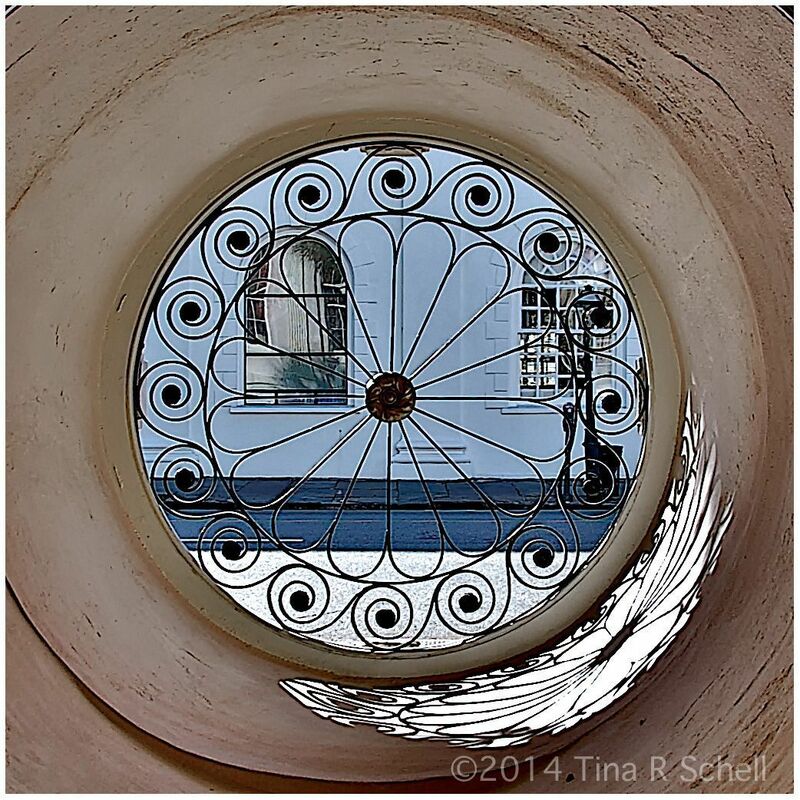 From Tina Schell: Taken from inside City Hall in downtown Charleston looking out through the wrought-iron. Drayton Hall is a plantation house museum on the Ashley River. The Dock Street Theatre, with St. Philip's Church in the background. Visitors can tour the Nathaniel Russell House at 51 Meeting St. The interior features a free-flying, three-story staircase, which is an architectural marvel. Consider beginning at Drayton Hall, a plantation house museum on the Ashley River whose claim to fame isn't only its mid-18th century Palladian design but also its relative lack of alterations since it was built. A new visitors center, which helps interpret the historic site, is a major bonus. Downtown, a visit to the Nathaniel Russell House museum will give visitors a glimpse into the lavish, high-style building occurring here at the dawn of the 19th century, when the city was near one of its most prosperous peaks. Another stop worth considering is Charleston City Hall, which originally was built in the early 19th century as a bank. It later became City Hall, underwent a Victorian makeover following the 1886 earthquake and a relatively recent renovation that makes it more visitor friendly than ever. The building also exposes an important lesson in the city's preservation: adapting historic buildings not as museums, but to meet today's needs. The Gibbes Museum of Art proves there were great buildings built well after the Civil War. This early 20th-century Beaux Arts gem recently reopened after an extensive renovation that returned the museum to something much closer to its original glory. A new garden out back also is not to miss. The Old Exchange Building has been modified over the years, and its prominent location on the city's waterfront has been blocked by later development. But it remains the most historically significant civic building from the city's Colonial past. It's the Independence Hall of the South. The Dock Street Theatre is one of Charleston's greatest architectural puzzles: a 20th-century theater built from 19th-century buildings, including a hotel, that occupied the site of the city's grand early 18th-century theater. Don't miss the drawing room overlooking Church Street that has architectural detail salvaged from a historic home. The Aiken Rhett House museum at 48 Elizabeth St. is worth a visit because it's the best surviving example, at least that's publicly accessible, of how Charleston's antebellum homes functioned as sort of mini urban plantations. The slave quarters, kitchen area and carriage houses are remarkably intact, and a small new museum space there shows off artifacts from a recent archaeological dig. St. Michael's Church at Broad and Meeting streets is not only one of Charleston's most recognizable and photographed churches, it's also its oldest surviving church building. With its architecture loosely patterned after St. Martin in the Fields on Trafalgar Square, it demonstrates how early Charlestonians were making their new city in London's image. The Fireproof Building is no longer home to the South Carolina Historic Society's archives. Instead, the society is renovating and reopening the building as a museum and event space. Exhibits will interpret not only the state's history but also the history of the building itself, designed by Robert Mills (architect of the Washington Monument) to safeguard government records.